What’s your view of electric vehicles? What’s your view on electric vehicles? 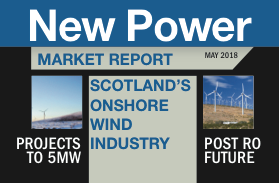 New Power’s sister publication The Energyst is asking readers for their views. Its wants to understand how public and private sector organisations perceive EVs, whether they are considering implementing charging infrastructure and what their attitudes are towards smart charging and vehicle-to-grid services. Transport energy is presently mainly from liquid fuels. Electric vehicles require power from the grid, so there is an emerging need to strengthen the grid and increase electric power production to supply them, for which there appears to be an inadequate long term national plan, with disagreement over the place of nuclear power in the supply. Pure electric vehicles are likely to be replaced with hydrogen-electric vehicles in the not so distant future as the latter can be refilled at the same speed as petrol and diesel, however the speed of roll-out is limited by the availability of hydrogen fuelling stations, so the government needs to divert more resource from electric charging points into more hydrogen filling stations which are largely concentrated in the south east. Hydrogen filling stations are likely to generate their hydrogen on-site during off-peak times, from the grid, as evidenced by this method in other countries such as Germany that is more advanced than the UK in their roll-out.